We've raised $32,000 in matching fund pledges. Now we need to raise that amount in smaller individual donations in order to collect. The War Party doesn't have to appeal for funds on their many websites  they have plenty of Daddy Warbucks to take care of the bills. We, on the other hand, only have you  our readers and supporters. Since 1995, we've been educating the American people about what is being done in their name, with their tax dollars. That's our job  but we can't do it without your support. If we don't make our fundraising goal we won't be able to continue as the Internet's number one pro-peace web site. It's as simple as that. 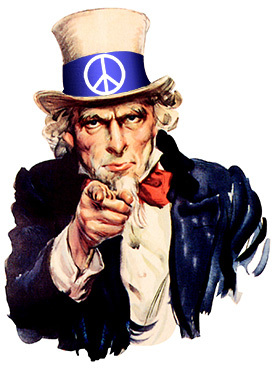 It's make or break time at Antiwar.com. Please go here to make your 100% tax-deductible contribution today. Do American Bases Abroad Help or Hinder Global Security? Refugee, Asylum Seeker, Migrant. What's the Difference?